I develop museum exhibits, including interpretive planning, exhibit narratives, interactive elements, and labels. I research and write about science and science education in a variety of forms, including feature pieces like magazine articles and PR pieces like web content, press releases, outreach materials, and whitepapers. My favorite projects explore ways to tell compelling stories about and connect people with science and scientists, like science comics and educational activity and coloring books. Exhibit: Imagine That! 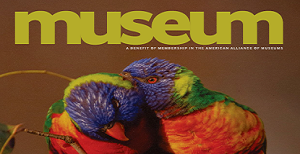 I worked with staff and scientists at the Burke Museum of Natural History and Culture on the campus of the University of Washington to develop this exhibit about the “behind the scenes” work of museums like the Burke. Read more. I have developed exhibits for Pacific Science Center’s “Portal to Current Science Research” and “Studio” exhibit galleries, which highlight local science research and local health research (respectively). A few examples: Space weather, food allergies, and the brain. Article: STEM for All: Unconventional approaches can extend the reach of science and natural history museums In this opinion piece for Museum magazine, I discuss initiatives that are extending science education and outreach beyond the walls of museums: pop-up museums, mobile “mini-museums,” The Think Tank from Chicago, and more. This article appeared in the January 2014 issue. Read more. 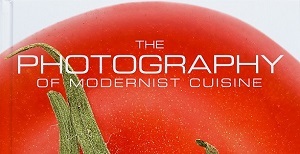 Exhibit: The Photography of Modernist Cuisine I worked with several other exhibit developers and writers to create labels for The Photography of Modernist Cuisine: the Exhibition, which features large format photos of food “like you’ve never seen it” and several pieces of equipment used to take the photos. … read more. Exhibit: Exploring our solar system with local NASA scientists The Pacific Science Center features exhibits on current science research in their “Portal” gallery. I worked with the team at PSC and two NASA scientists to create an exhibit that would explore their research on solar storms (Coronal Mass Ejections) and temperature mapping. … read more.